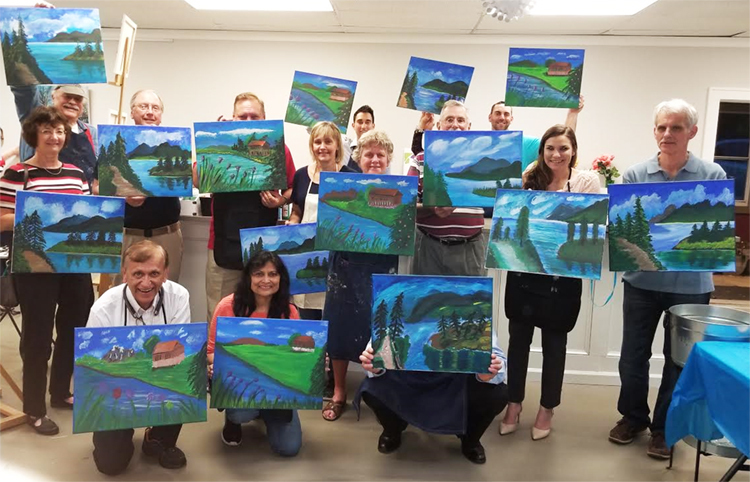 Greco-Nader hosted a Client Appreciation Event: Wine & Paint Class. 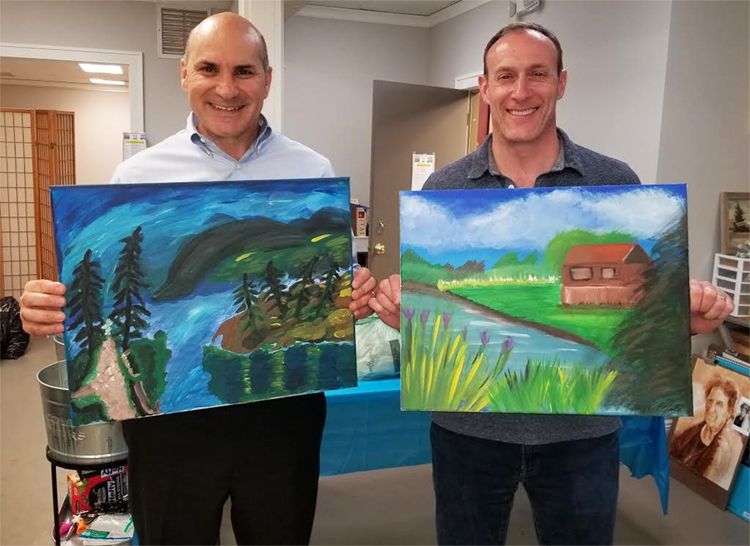 We had a blast painting at Peridot Art Studio and were very impressed by everyone's painting! We look forward to many more fun events together in the future! 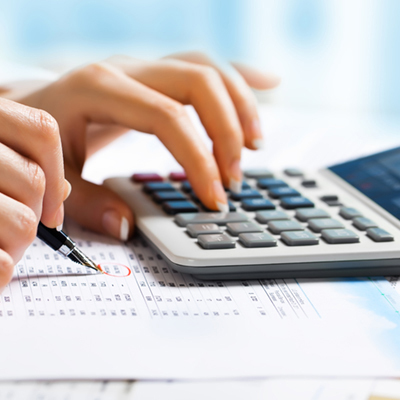 At Greco-Nader and Associates we understand the constant demands that life can place on us from our jobs, to our relationships and even to our finances. Sometimes we are moving so fast through life that we never take a moment to slow down and enjoy all the great things life has offer. 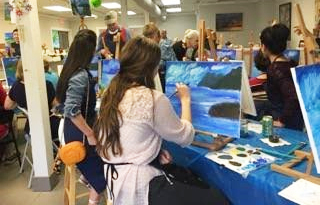 Because of this we sponsored a wellness event at Fiddler’s Elbow Country Club, Wednesday, May 3rd that focused on stress reduction and how to trust your creativity, keep your heart open, and connect to your true self. 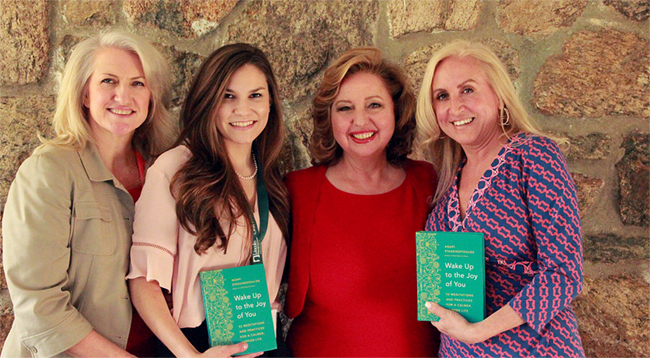 Agapi Stassinopoulos spoke about her new book "Wake Up To The Joy of You" at this event. 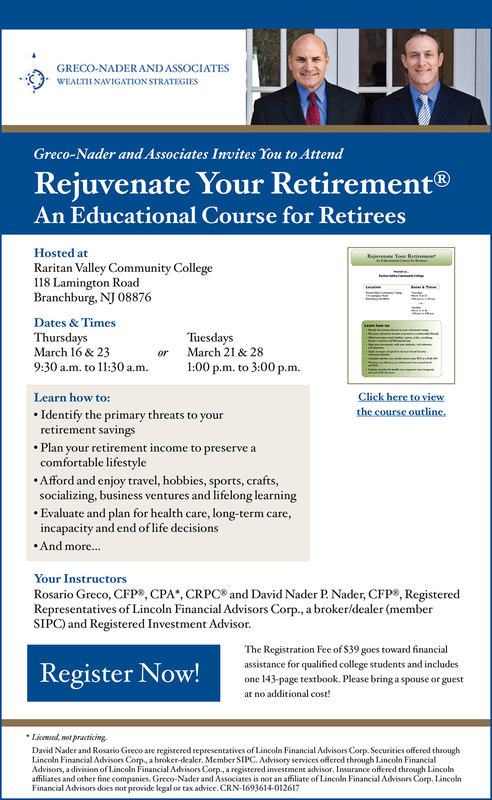 She is a best-selling author and speaker who inspires audiences around the world. It was an honor to sponsor such an inspiring evening. 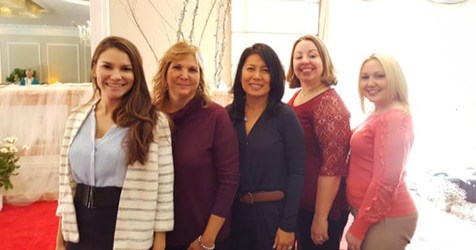 On behalf of Greco-Nader & Associates we wanted to say thank you to The Flemington Women’s Club for inviting us to such a wonderful fall fundraiser on October 30th, 2015. The Flemington Woman's Club has been operating since 1898 and is a nonprofit organization of women volunteers that share a common desire to help the community. Each year they hold a fundraiser where attendees eat a delicious lunch, watch an exciting fashion show and have the opportunity to win great tricky trays! We truly value what this organization has done for the surrounding community, in which we operate in and look forward to supporting the Woman’s Club in the years to come.